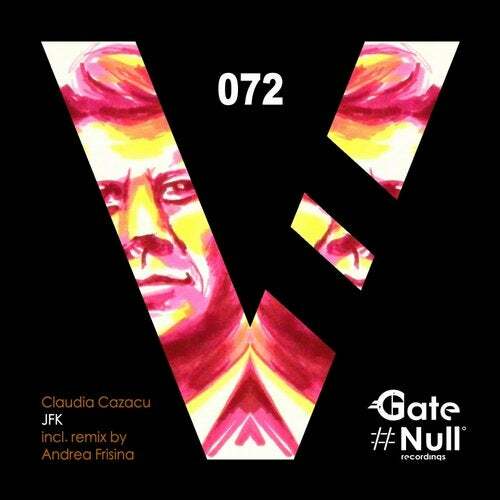 Second release of Claudia Cazacu on Gate Null, which shows her great skill. Amazing and epic is his original mix featured by the JFKs speech. She arranges her pick-time monster always working on a swelling bassline rooted in a devastating kick drum and eclectic grooves, riddled with an epic synth line that makes a great techno pressure. No other Artist can be involved on the remix duty than the label boss Andrea Frisina, who has a long experience and skill to fit historical speeches in techno weapons. His version is a big room track featured by his famous and recognisable dark mood. Amazing, as per usual, is the breakdown, where he inserts the speech in full, which seems exactly arranged to introduce the elements with which Andrea builds the crescendo, preparing the floor to the smasher second part of his mix.